Kristallnacht (Night of Broken Glass). The British ambassador to the United States in Washington meets with the Undersecretary of State, Sumner Welles, and offers to allow 32,500 German Jews to come to Great Britain. Welles refuses the offer. Your 539, September 11, 10 a.m. and 566, September 14, 6 p.m.
You should inform Dr. Bohn and Mr. Fry in personal interview if this can be arranged immediately that while Department is sympathetic with the plight of unfortunate refugees, and has authorized consular officers to give immediate and sympathetic consideration to their applications for visas, this Government can not repeat not countenance the activities [as reported] of Dr. Bohn and Mr. Fry and other persons, however well-meaning their motives may be, in carrying on activities evading the laws of countries with which the United States maintains friendly relations. You are requested in your discretion, to inform the appropriate officials of the Foreign Office that while aliens who qualify for and obtain visas at American consular offices as meeting the requirements of American immigration laws have the required visa documentation to proceed to the United States, this Government does not repeat not countenance any activity by American citizens desiring to evade the laws of the governments with which this country maintains friendly relations. You may also ask Mr. Hurley to inform the Prefect at Marseille in this sense. Consul at Marseille should also be informed that Dr. Bohn has been requested to return to United States immediately. You may also advise Embassy Paris and Consuls at Bordeaux and Nice regarding situation. Keep Department advised of developments. This is a memorandum from the US State Department trying to pressure the leadership of the Emergency Rescue Committee in New York to recall Varian Fry from France. This indicates the extreme antipathy that the State Department showed toward Varian Fry and the Emergency Rescue Committee, with whom Bingham was heavily involved in helping refugees. Following your instruction to me to use all means possible to persuade his principals to recall Mr. Fry from France I talked to Mr. William Stone of the Foreign Policy Association and to Mr. Jay Allen of the Emergency Rescue Committee. Mr. Stone took the matter up immediately with General Frank R. McCoy, the Chairman of the Foreign Policy Association, who said that he would send a telegram immediately requesting Mr. Fry’s return. Mr. Allen said that there would be a meeting of the Executive Committee of the Emergency Rescue Committee this afternoon and that he would tell his colleagues of the Department’s insistence on having Mr. Fry recalled and would inform me of the result immediately. This is a memorandum written by Pell at the State Department to Breckinridge Long. This memorandum regarding Varian Fry was addressing the issue that Fry had complained to numerous officials at the State Department and they were pressuring the leaders of the Emergency Rescue Committee and others to force Fry’s recall from Marseilles. Fry accused State Department officials “who are almost Nazi in their sympathies and did not wish his efforts to succeed.” Many historians now agree with Fry’s assessment. The antipathy shown by the State Department to Fry shows clearly the risk that Bingham took in helping the ERC. Following the meeting of its Executive Committee, the Emergency Relief Committee at New York telegraphed Mr. Fry on Saturday requesting him to return to the United States. This decision was reached on the Executive Committee not without difficulty and considerable opposition so that the telegram which finally was sent was not as peremptory in tone as I had requested. On Monday the Relief Committee received a telegram from Mr. Fry to the effect that he saw no necessity to leave, that his work was progressing favorably, and that the whole affair was “cooked up” by American officials who are almost Nazi in their sympathies and did not wish his efforts to succeed. I have not seen the text of this telegram but that was how it was quoted to me. I said to Mr. Allen, this was on Monday, that I was not satisfied with the exchange of telegrams and thought that the Committee should, without any further delay order Mr. Fry home. I explained once again that there would probably be an unpleasant incident if he remained, that his activities were now generally known which meant that his usefulness had ceased and that his continued presence was an embarrassment to everybody, and might wreak havoc on the refugees. The Committee said they would send a second telegram. Later Mrs. Fry telephoned from New York and said that she had learned of my conversation with the Committee which was still divided on the question of recalling her husband and probably the second cable they would send out would leave the decision up to Mr. Fry. She offered to send her husband a telegram asking him to return if I thought it absolutely necessary. I said that I thought it absolutely necessary and hoped that she would send the telegram. This she promised to do. In the meantime I had talked with General McCoy and Mr. Stone of the Foreign Policy Association with was a joint sponsor with the Emergency Relief Committee of Mr. Fry’s activities. General McCoy agreed to send the telegram which went out last night. General McCoy commented that he had a definite understanding with Fry that he would return at the end of September, that his contract had now expired and that the Foreign Policy Association would not put up anymore money. General McCoy doubted very much whether the Emergency Relief Committee could stand the strain of keeping Mr. Fry abroad. He said that Mr. Fry was without personal funds. The Emergency Rescue Committee has agreed to order Mr. Varian Fry to return to United States. Source: US National Archives and Records Administration, General Records of the Department of State, Visa Division, 1940-1945, 811.111, Refugees/1527. WASHINGTON, June 5, 1940-6 p.m. In view of the international situation it is essential that all aliens seeking admission into the United States, including both immigrants and non-immigrants, be examined with the greatest care. Effective immediately, all applications for diplomatic and non­immigrant visas, transit certificates and limited entry certificates, except as hereinafter specified, shall be executed in triplicate, on Form 257, under oath administered by the Consul. A signed photograph will be attached to each copy of the form and impressed with the legend machine or impression seal. In the case of aliens bearing passports or other travel documents issued by governments recognized by the United States, there may be placed thereon a notation indicating the issuance of the nonimmigrant grant visa or certificate. All applications for nonimmigrant documentation should be care­fully scrutinized in the light of war conditions and other factors affect­ing the purpose of the applicant's proposed entry into the United States. A visa should be issued only when the applicant conclusively establishes a legitimate purpose or a reasonable need for his presence in this country (rather than his departure from abroad). Each appli­cant should be required to specify in his application what places he intends to visit in the United States and how long he intends to stay in each place. Each applicant shall also be required to present conclusive evidence that upon his departure from the United States he will be admitted into the country of his nationality or some other foreign country to which he intends to return or proceed. Such evidence may include written assurance from the appropriate foreign authorities or confir­mation obtained at applicant's expense through American diplomatic or consular representatives in third countries. Specific reference to authorization for applicant's admission into foreign country should be made on form 257. This document was found in the central files of the US State Department Record Group 811.111 / WR / 108A. It is located in the US National Archives and Records Administration. ALL DIPLOMATIC AND CONSULAR OFFICES. Nonimmigrant visas issued prior to June 6, 1940 must be revalidated by an American consular officer unless the holders are on the high seas enroute to the United States. Transportation lines should be informed. The validation shall consist of a gratis endorsement on the visa with the notation of validating office and date. Record on form 257 should be retained in the office and copies sent to Department. In revalidating such visas a most careful examination will be given to ascertain that the alien’s entry would not be contrary to the public safety and to ascertain that the entry involves a reasonable need or legitimate purpose. All applications for immigration visas must be examined with extreme care and during the present period of emergency no such visa should be issued if there is any doubt whatsoever concerning the alien. Although a drastic reduction in the number of quota and nonquota immigration visas issued will result therefrom and quotas against which there is a heavy demand will be underissued, it is essential to take every precaution at this time to safeguard the best interests of the United States. The following procedure has been adopted by the Department of State and the Department of Justice with a view to extending every facility and assistance permitted under the law to alien refugees living under difficult conditions who desire to come to the United States either as immigrants or as non-immigrant temporary visitors or transients, where the applicants are qualified under the law, are coming to the United States for a legitimate purpose and do not intend to engage in any activity inimical to the United States. The procedure will be applicable only to individuals whose cases have been previously approved by joint action of the Department of State and the Department of Justice. The names of such individuals will be cabled to the appropriate consul in the country of the appli­cant's residence, with, a reference to this instruction. If immigration, visitor's, or transit visas, cannot be immediately issued to such in­dividuals, and to their wives, children, and other accompanying mem­bers of their families, the consuls are directed to notify the Depart­ment at once concerning the nature of any difficulty which has arisen in order that all practicable steps may be taken to remove such im­pediment to the issuance of the visas. Before names are cabled to consular officers for action pursuant to this instruction the individuals in question will have been approved in Washington with respect to: first, the propriety of the purposes for which they seek to enter the United States; second, the matter of their departure from the United States at the conclusion of the period for which they shall have been permitted entry, in cases in which they are eligible only for visitors' visas or transit certificates; and third, the existence and adequacy of assurances that they will not become public charges. Immigration visas will be issued in all cases in which quota numbers are available for persons of the applicants' registration dates, and in which an immigration visa is desired. In cases in which quota numbers are not available and the applicants desire to apply for tem­porary entry, their cases should be considered under such categories as follows: Transit certificates may be issued to aliens in possession of visas with which they will be permitted to enter another country. In all other cases visitors' visas may be issued. In all cases in which visitors' visas or transit visas are issued, the consul will inform the applicant that he is assuming the obligation to leave the United States as soon as it is possible for him to do so and to make immediate efforts in good faith to secure travel documents to this end. The application for a visa shall contain the statement that the application is made upon this understanding. Particular attention is called to the fact that Section 7 (c) docu­ments; including passports, military and police certificates and birth certificates, which are not readily available, may be waived under Note 87, Supplement A, Part II, Foreign Service Regulations. It is anticipated that under present conditions some or all of such docu­ments will not be available. Cases of other refugees than those covered by this procedure may be given every consideration in the light of their particular facts and evidence submitted by mail or telegraph relating to support and intention and ability to proceed to a third country at the conclusion of their visit. You may in your discretion, and possibly upon request of the appli­cant, inform the authorities or other persons regarding the issuance of visas or the favorable preliminary consideration of cases, for possi­ble assistance to the applicants in obtaining transit visas to place of embarcation. 68 Sent to the diplomatic officers at Lisbon (No. 186), London (No. 2038), and Dublin (No. 51), and to consular officers at Oporto (No. 15), Marseille (No. 169), and Bordeaux (No. 706). The following is a telegram sent by Cordell Hull to the various consulates and embassies, including the consulate in Marseilles. Refer to Department’s circular telegrams of June 5, 6 p.m.; June 29, 1 p.m.; and July 26, 11 p.m.
To correct any misunderstanding regarding visa work, all visa applications should be carefully examined and if any doubt exists regarding client’s activities in the past and possible activities in the United States which might be inimical to the United States, action in the case should be suspended and the alien should be requested to present clear evidence to establish essential facts. In considering lists of alien refugees transmitted by Department with assurances of the sponsoring organization regarding support and arrangements to proceed to third country, you should carefully examine cases as to applicants’ past and future activities and as to aliens’ status as refugee intellectuals or labor leaders or refugees in particular danger of their lives, and if any doubt exists action in the cases should be suspended. This is an important letter written and signed by Breckinridge Long, Undersecretary of State in charge of visas. Dated June 26, 1940. It was found in the Breckinridge Long papers, Box 211, Visa Div. General 1940. TB6.1.7 / DR6.1.7. The document talks about divesting consuls of their discretionary powers for issuing non-immigrant visas. It was designed to delay and effectively stop, for a temporary period, immigrants into the United States. Attached is a memorandum from Mr. Warren. I discussed the matter with him on the basis of this memorandum. There are two possibilities and I will discuss each category briefly. Their entry into the United States can be made to depend upon prior authorization by the Department. This would mean that the consuls would be divested of discretion and that all requests for nonimmigrant visas (temporary visitor and transit visas) be passed upon here. It is quite feasible and can be done instantly. It will permit the Department to effectively control the immigration of persons in this category and private instructions can be given the Visa Division as to nationalities which should not be admitted a well as to individuals who are to be excluded. This must be done for universal application and could not be done as regards Germany, for instance, or Russia, for instance, or any other one government because it would first, invite retaliation and second, would probably be a violation of some of our treaty arrangements. The retaliation clause is in connection with Germany because it could mean the closing of our offices in almost all of Europe. We can delay and effectively stop for a temporary period of indefinite length the number of immigrants into the United States. We could do this by simply advising our consuls to put every obstacle in the way and to require additional evidence and to resort to various administrative advices which would postpone and postpone and postpone the granting of the visas. However, this could only be temporary. In order to make it more definite it would have to be done by suspension of the rules under the law by the issuance of a proclamation of emergency—which I take it we are not yet ready to proclaim. We can effectively control nonimmigrants by prohibiting the issuance of visas unless the consent of the Department is obtained in advance, for universal application. We can temporarily prevent the number of immigrants from certain localities such as Cuba, Mexico and other places of origin of German intending immigrants by simply raising administrative obstacles. The Department will be prepared to take these two steps immediately upon the decision but emphasis must be placed on the fact that discrimination must not be practiced and with the additional thought that in case a suspension of the regulations should be proclaimed under the need of an emergency, it would be universally applicable and would affect refugees from England. The Canadian situation and travel across that border we can handle through an exception to the general rule and so advise our consuls in Canada. Letter from Margaret E. Jones, an American Quaker working with European Jews hoping to emigrate to the U.S., expressing her distress at the impact of Breckinridge Long's memo. Because I am deeply disturbed over present visa difficulties in Vienna, I want thee to have this memorandum for thy information. Last July, en route from Geneva back to the Vienna Center, I stopped in Zurich and had an interview with Mr. Strom, at the U.S. Consulate. He told me of recent orders from Washington which would severely limit the number of visas ordinarily issued month by month from the various Consulates. I asked him if this was an attempt on the part of the State Department to offset any move by Congress to stop immigration entirely. Mr. Strom at once asked me with whom I had been talking to get that impression, and then said that he "did not think it was". Later in Vienna, Mr. Hohenthal told me too about the new stringent regulations, and was also obviously interested when I raised the same question with him. About the middle of August, the Consulate--always, as I have repeatedly said, working most cooperatively and sympathetically with me and the Quaker Center--telephoned to say the Mr. Warren, Mr. Morris and Mr. Hohenthal and I talked that afternoon about the new regulations concerning emigration. Mr. Warren began by saying, "Miss Jones, you Quakers will be doing a straight relief job for the non-Aryans here from now on." I said, "No more non Aryans to go to the U.S.?" Warren replied- "Not just non-Aryans--but no more aliens." Then I asked him the same question --was this an attempt to forestall Congress and prevent an out and out closing of immigration by making so severe a cut that the State Dept. could assure Congress they had the situation in hand. Mr. Warren said not Congress, but the President just did not want any more aliens coming to the U.S. and would like to have it closed especially for aliens coming from Germany. The State Dept. asked to be allowed to taper it all off gradually, and he, Warren, was touring Europe as far east as Moscow to check up with the consulates and to make plans accordingly. He explained it somewhat casually--increasing anti-Semitism in the U.S.; some refugees had already been traced to 5th column activities; the need to give visas to England and so forth. He told me that during July, 4000 visas had been granted to England,--many to English people, and many to German refugees in England, and he said that he also hoped additional visas would be granted to Shanghai, to help the refugee situation there. He told me Stuttgart had only given 3 visas during July. Vienna had issued that month about 100, but the number would be greatly reduced. I asked him what the State Dept. planned to do about reuniting families, and also about children. Warren implied that they would carefully consider cases where reuniting families was an issue, and that surely some children would be allowed to emigrate from Germany. But his whole idea was that emigration for German Jews coming from Germany was practically finished. Thee may recall that as soon as I get to Geneva, in September, on my way home from Vienna, I wrote about this and indicated just how awful it was, because the Consulate kept encouraging people to do everything required of them, and then at the final interview decided the person would "become a public charge" and therefore could not get a visa. I now know that about 3 or 4 visas are issued each week, and that supposedly with each, the Consulate evaluates the candidate according to Mr. Warren's instructions, "What outstanding contributions can he make to the U.S.A.?" No one can imagine what trouble the men and women must go through to finally get to the Consulate for the last interview--all sorts of severe local requirements must be met before permission to leave is given by the Nazi authorities. Each step takes weeks, and also Marks. (This entirely apart from the heartbreaking anxiety over affidavits and steamship tickets. With every thing in order, the candidate learns now from the Consulate that he must have a new certificate notarized (20 to 40 Marks) indicating that at least two friends can vouch that he is an upright man and not engaged in espionage activities. This in addition to the usual Police certificate, which would be sufficient. (I should think the Consulate would know, if they suspect every applicant for a visa as a potential spy, that the applicants could get anyone to sign such a statement if they wanted to do so.) Furthermore, the candidate for the visa in his final interview faces a board of Consuls, who ask questions ( I was told in the Consulate in Vienna that this questioning HAD to last 40 minutes and that often the two men doing the questioning just couldn't fill in the time!) and a stenographer takes down the answers in short hand. Now very few non-Aryans in Germany entirely trust the German members of the U.S. Consular staff, and to reply to questioning in a way which would damn the Nazi government, and to know that those replies are being taken down by a German, naturally terrified the applicant. On the other hand, if he doesn't say what he thinks about the Nazi gov't, he feels that the U.S. Consuls will judge him potential 5th Column material and refuse the visa accordingly. Perhaps I feel too strongly about this--but I know only too well what the life of the Jew in Vienna is today. I know of the terror and despair, and of the unbelievable difficulties each man and woman endures, and tries to solve, in connection with obtaining the U.S. visa. I want to say again that the Vienna Consulate has on its Visa Division staff men of ability and sympathy, who work as much as possible with the individual in mind, but they can only do what the U. S. immigration law permits. (I cannot endorse the physician at the Consulate, but his attitude is subject for another memorandum!) But it seems to me that if the U.S. wants to make a new ruling due to the war, etc., that it must make it openly and give the reasons. We cannot continue to let these tragic people go on hoping that if they comply with every requirement, if they get all the special documents required (Marks are increasingly needed by the Jews just to live), if they nerve themselves for the final interview at the Consulate, they may just possibly be the lucky ones to get visas when we know that practically no one is granted visas in Germany today. As thee knows, the whole question of affidavits is involved --irrevocable trust funds as required by the Consulate--we can't go out to individuals in this country for this basic cooperation when we know that regardless of what we or the applicant does, he is not going to get the visa. Thee understands that this is a confidential report for thee to have as background. I do hope that the question can be given very careful study, and a decision reached which will in some measure allay the mental suffering of so many persons. We could alleviate a lot of the mental suffering, of course, by restoring the normal visa program for the applicants in Germany. Naturally I am fully aware of the almost insuperable difficulties of travel from Germany. Greece is now closed to those who would have attempted to go via that country through the Mediterranean to Lisbon. Spain now refuses a transit visas to anyone with a "J" on his passport. The route via Siberia and Japan is the only one open, and it offers tremendous difficulties. But our government should make its own position absolutely clear, and I do hope the several refugee committees can get this matter satisfactorily outlined. It is a pleasure to send you herewith a copy of a letter which has been received from Mr. Robert C. Dexter of Boston, Massachusetts, containing statements commendatory of Mr. Hiram Bingham, Jr., Vice Consul at your post. A copy of the Department’s reply to Mr. Dexter’s letter is also enclosed. 1. From Mr. Robert C.
1. Under present regulations the cases of prospective applicants for visas must be submitted to the Department of State on Form BC, as indicated below, before final consideration may be given to the application by the appropriate consular officer abroad. Exemption from this procedure is made for native-born citizens of independent countries of the Western Hemisphere; citizens of Canada or Newfoundland and British subjects born or domiciled in any part of the Western, Hemisphere; applicants for nonquota, immigration visas who are the beneficiaries of approved Forms 633 according them nonquota status as the wife, husband by marriage prior to July 1, 1932, or minor child of an American citizen; and applicants in the Western Hemisphere for nonquota immigration visas as returning resident aliens. Such exempted applicants should apply direct to American consuls abroad for visas. The forms maybe obtained free of charge upon request from the Visa Division, Department of State, Washington, D. C. Social service organizations offering their services without charge to sponsors of visa applicants may obtain forms from the President Advisory Committee on Political Refugees, 122 East Twenty-second Street, New York, N. Y. The President's Advisory Committee has volunteered to refer sponsors of visa applicants, at their request, to such social service organizations. 2. IMMIGRATION VISAS FOR PERMANENT RESIDENCE.--Form BC must be completed in full and submitted to the Department of State. The original only must be notarized. 3. NONIMMIGRANT VISITOR'S VISAS: TRANSIT CERTIFICATES; LIMITED ENTRY CERTIFICATES.--Form BC (Part B, Biographical Data Concerning Alien Visa Applicant) (Part C, Affidavit of Support and Sponsorship, omitting the portion relating to the sponsor's financial position and assurance of support) must be submitted to the Department. (b) any organization acting for a sponsor in a visa case except a Federal, State, municipal, or charitable agency. 5. PROCEDURE.--Each application is considered by an Interdepartmental Visa Committee acting in an advisory capacity. If the case is approved by that body, a notice will be sent to interested persons and also to the American consular officer where the alien intends to apply for a visa. However, should an unfavorable decision be reached by the committee or should the alien be classifiable under the regulations as an alien enemy (i.e., natives, citizens, subjects, or denizens of countries with which the United States is at war), each case is given further consideration by an Interdepartmental Visa Review Committee which sits in Washington only; this gives an opportunity to an alien residing in the United States or to interested individuals to appear in person or through an attorney or other intermediary before the committee to make such additional statements as may be deemed appropriate. The hearing is conducted in an informal manner. With a view to avoiding delay in the event that a case may require a hearing before the review committee, one copy of an Application for Appearance (Form IVRC-1) should be executed in single copy by one or more persons who desire to appear at the hearing, as a sponsor, an interested relative or friend acting as a witness, or as an attorney. If additional persons desire to appear, extra copies of the Application for Appearance may be typewritten for the purpose. If a hearing before the review committee becomes necessary, persons who have indicated their desire to appear will be given reasonable notice of the time and place where the hearing will be conducted in Washington. If no interested person is able to appear, the sponsors should request by letter, transmitted with the BC forms, that the case be reviewed without personal testimony. Although the same consideration is given to a case reviewed without such testimony, personal appearance of the applicant, when he already is in the United States, is most advisable, as well as the personal appearance of a sponsor or other interested person who is familiar with the applicant's background and who, accordingly, is in a position to furnish material information not contained in the BC forms. 6. SUBMISSION OF FORMS.--When the required forms are executed they should be assembled together and transmitted to the Department of State as a single and complete file: A file will consist of Forms BC (in sextuplicate); Form (s) K (where necessary); and one or more Forms IVRG-1, unless it is desired that the case be heard without personal appearance and a covering letter to this effect is attached. United States State Department receives information from Switzerland regarding the Nazi plan to murder the Jews of Europe. 3697, August 11, 3 p.m.
"Informer reported to have close connections with highest German authorities who has previously generally reliable reports says that in Fuehrer's [sic] headquarters plan under consideration to exterminate at one blow this fall three and half to four millions Jews following deportation from countries occupied, controlled by Germany and concentration in east. Method execution undecided but prussic acid has been considered. Information transmitted with reservation as exactitude cannot be ascertained." CONFIDENTIAL Legation note: Legation has no information which would tend to confirm this report which is however forwarded in accordance with Riegner's wishes. In conversation with Elting Riegner drew attention to recently reported Jewish deportations eastward from occupied France, protectorate and probably elsewhere. The report has earmarks of war rumor inspired by fear and what is commonly understood to be the actually miserable condition of these refugees who face decimation as result physical maltreatment persecution and scarcely endurable privations malnutrition and disease. Subject: Transmitting Memorandum of Conversation with Secretary of Jewish Congress, Geneva, concerning Report that Germans are Considering Wholesale Extermination of Jews. THE HONORABLE SECRETARY OF STATE, WASHINGTON. At the suggestion of the Legation at Bern, I have the honor to enclose a copy of a memorandum in the above entitled matter. I desire to reiterate my belief in the utter seriousness of my informant. Copy of memorandum, as stated. This morning Mr. Gerhart M. RIEGNER, Secretary of the World Jewish Congress in Geneva, called in great agitation. He stated that he had just received a report from a German business man of considerable prominence, who is said to have excellent political and military connections in Germany and from whom reliable and important political information has been obtained on two previous occasions, to the effect that there has been and is being considered in Hitler's headquarters a plan to exterminate all Jews from Germany and German controlled areas in Europe after they have been concentrated in the east (presumably Poland). The number involved is said to be between three-and-a-half and four millions and the object is to permanently settle the Jewish question in Europe. The mass execution if decided upon would allegedly take place this fall. Riegner stated that according to his informant the use of prussic acid was mentioned as a means of accomplishing the executions. When I mentioned that this report seemed fantastic to me, Riegner said that it struck him in the same way but that from the fact that mass deportation had been taking place since July 16 as confirmed by reports received by him from Paris, Holland, Berlin, Vienna, and Prague it was always conceivable that such a diabolical plan was actually being considered by Hitler as a corollary. unspecified numbers from Germany and other occupied countries. Riegner said this report was so serious and alarming that he felt it his duty to make the following requests: (1) that the American and other Allied Governments be informed with regard thereto at once; (2) that they be asked to try by every means to obtain confirmation or denial; (3) that Dr. Stephen Wise, the president of his organization, be informed of the report. I told Riegner that the information would be passed on to the Legation at once but that I was not in a position to inform him as to what action, if any, the Legation might take. He hoped that he might be informed in due course that the information had been transmitted to Washington. For what it is worth, my personal opinion is that Riegner is a serious and balanced individual and that he would never have come to the Consulate with the above report if he had not had confidence in his informant's reliability and if he did not seriously consider that the report might well contain an element of truth. Again it is my opinion that the report should be passed on to the Department for what it is worth. There is attached a draft of a telegram prepared by Riegner giving in his own words a telegraphic summary of his statements to me. In January 1943, the American legation in Switzerland sends information to Sumner Welles, Undersecretary of State, confirming reports of mass executions of Jews in Poland. TO: Under Secretary of State, Washington, D.C. The following is for your information and to be transmitted to Rabbi Stephen Wise, if you so determine. Reference Department's 2314 of October 5.
taken place in Poland and it is reported from one source that 6,000 are killed daily. The Jews are required, before execution, to strip themselves of all clothing, which is then sent to Germany. The remaining Jews in Poland are now confined to approximately fifty-five ghettoes - in the old ghetto insofar as the larger towns are concerned, and in small places transformed into ghettoes in other localities. Some Jews, both Polish and those deported from other countries, are in labor camps in Silesia and Poland. No news is received from the ghettoes, although occasional reports are received from some people in the labor camp and in the Resienstadt. The ghetto in Poland is comparatively worse than the Resienstadt, insofar as those remaining and working there are concerned. The Resienstadt is a self-governing Jewish community under Edelstein, Stricker, Friedmann, Zucker, among others. No delegate is allowed to be sent to the Resienstadt by the International Red Cross. Reports about the situation in Germany indicate as of the end of November and the middle of December, that deportations are continuing. Special agents of the Gestapo, having completed the job of arranging deportations from Vienna, have been sent to Holland and Berlin for the purpose of speeding up the job in those localities. Female war workers in Berlin, whose parents have already been deported, were suddenly deported after arrest, and occasionally parents returned from work to find their children have been deported during their absence. About 2000 are in hiding, and there have been many cases of suicide. People who have been arrested, and whose deportation is pending are put in buildings which have neither furniture nor beds. Twenty-one members of the German Community Council and members of the German Jewish Representation who were arrested on November 9, and held as hostages have disappeared, and it is reported that eight of them have been shot in reprisal for the fleeing of some Jews from the locality. Jews in Czechoslovakia, Germany and Austria are not allowed to buy live fish, poultry, vegetables or rationed food stuffs, and under a new order, the local authorities are empowered to withdraw their rationing cards. Thus, Jews in Berlin are unable to buy milk, meat or eggs. It is reported from Prague and Berlin that no Jews will be left in either city by the end of March. Fildermann has filed a special report from Rumania stating that in the fall of 1941, 130,000 Rumanian Jews were deported to Trananistria. Of these, 15,000 came from the district of Dorohoi, 30,000 from Gernauti, 45,000 from Bessarabia, and 40,000 from other parts of Bucovina. During the summer of 1942, 6,000 were deported from other parts of Rumania. These deported people have been distributed among ninety places in five districts, and some of them are confined to ghettoes which are comparatively free Jewish settlements, while others are in labor camps. The living conditions are indescribable. They are deprived of all money, food stuffs and possessions, and are housed in deserted cellars, and occasionally twenty to thirty people sleep on the floor of one unheated room. Disease is rift, particularly spotted fever. These conditions have resulted in the death of approximately 60,000 while 70,000 are starving. Fildermann insists that the community requires urgent assistance, because the Jews in old Rumania have been ejected from most provisions and property has been confiscated, and the have been deprived of money and are therefore unable to provide large amounts. This report is signed by Richard Lichthim and Gerhars [sic] Riegner of Geneva, and is dated January 19, 1943." The State Department sends a memo to the American legation in Bern, on February 10, 1943, stating that in the future they not transmit reports to private citizens, since they "circumvent neutral countries' censorship." In the future we would suggest that you do not accept reports submitted to you to be transmitted to private persons in the United States unless such action is advisable because of extraordinary circumstances. Such private messages circumvent neutral countries' censorship and it is felt that by sending them we risk the possibility that steps would necessarily be taken by the neutral countries to curtail or forbid our means of communication for confidential official matter. “A number of developments in our procedure in granting visas in [excess] of the quota have troubled me recently…” Long goes on to discuss how he wishes to take the power to grant visas away from the President’s Advisory Committee on Political Refugees (PACPR). “I layed [sic] it before the Secretary [of State Cordell Hull], and he authorized me to present the whole matter to the attention of the President. I did this today in the form of a letter which reviewed the situation and asked his consent to change the procedure, which would place in our Consuls abroad rather than in the President’s Committee in New York the final determination as to whether the person was entitled to entry into the United States…And now it remains for the President’s Committee to be curbed in its activities so that the laws again can operate in their normal course. “From time to time, some of our consuls, as is natural with any group of human beings with different reactions, have given different interpretations to the Department’s instructions. We have communicated with them directly by cablegram and by telephone in order to bring them in line with the Department’s policy. Our consulates in Germany, Switzerland, unoccupied France, and Portugal have been painstakingly supervised in this respect and are conforming to the pattern of the Department’s instructions. “Report to the Secretary on the Acquiescence of this Government in the Murder of the Jews,” initialed by Randolph Paul for the Foreign Funds Control Unit of the Treasury Department, January 13, 1944. One of the greatest crimes in history, the slaughter of the Jewish people in Europe, is continuing unabated. This Government has for a long time maintained that its policy is to work out programs to serve those Jews of Europe who could be saved. I am convinced on the basis of the information which is available to me that certain officials in our State Department, which is charged with carrying out this policy, have been guilty not only of gross procrastination and willful failure to act, but even of willful attempts to prevent action from being taken to rescue Jews from Hitler. I fully recognize the graveness of this statement and I make it only after having most carefully weighed the shocking facts which have come to my attention during the last several months. Unless remedial steps of a drastic nature are taken, and taken immediately, I am certain that no effective action will be taken by this government to prevent the complete extermination of the Jews in German controlled Europe, and that this Government will have to share for all time responsibility for this extermination. (1) They have not only failed to use the Governmental machinery at their disposal to rescue Jews from Hitler, but have even gone so far as to use this Government machinery to prevent the rescue of these Jews. (2) They have not only failed to cooperate with private organizations in the efforts of these organizations to work out individual programs of their own, but have taken steps designed to prevent these programs from being put into effect. (3) They not only have failed to facilitate the obtaining of information concerning Hitler's plans to exterminate the Jews of Europe but in their official capacity have gone so far as to surreptitiously attempt to stop the obtaining of information concerning the murder of the Jewish population of Europe. (c) the issuance of false and misleading statements concerning the "action" which they have taken to date. Although only part of the facts relating to the activities of the State Department in this field are available to us, sufficient facts have come to my attention from various sources during the last several months to fully support the conclusions at which I have arrived. (1) State Department officials have not only failed to use the Governmental machinery at their disposal to rescue the Jews from Hitler, but have even gone so far as to use this Governmental machinery to prevent the rescue of these Jews. The public record, let alone the facts which have not as yet been made pubic, reveals the gross procrastination and wilful failure to act of those officials actively representing this Government in this field. (a) A long time has passed since it became clear that Hitler was determined to carry out a policy of exterminating the Jews in Europe. (b) Over a year has elapsed since this Government and other members of the United Nations publicly acknowledged and denounced this policy of extermination; and since the President gave assurances that the United States would make every effort together with the United Nations to save those who could be saved. (c) Despite the fact that time is most precious in this matter, State Department officials have been kicking the matter around for over a year without producing results; giving all sorts of excuses for delays upon delays; advancing no specific proposals designed to rescue Jews, at the same time proposing that the whole refugee problem be "explored" by this Government and Intergovernmental Committees. While the State Department has been thus "exploring" the whole refugee problem, without distinguishing between those who are in imminent danger of death and those who are not, hundreds of thousands of Jews have been allowed to perish. As early as August 1942 a message form the Secretary of the World Jewish Congress in Switzerland (Riegner), transmitted through the British Foreign Office, reported that Hitler had under consideration a plan to exterminate all Jews in German controlled Europe. By November 1942 sufficient evidence had been received, including substantial documentary evidence transmitted though our Legation in Switzerland, to confirm that Hitler had actually adopted and was carrying out his plan to exterminate the Jews. Sumner Welles accordingly authorized the Jewish organizations to make the facts public. Thereupon, the Jewish organizations took the necessary steps to bring the shocking facts to the attention of the public through mass meetings, etc. and to elicit public support for governmental action. On December 17, 1942, a joint statement of the United States and the European members of the United Nations was issued calling attention to and denouncing the fact that Hitler was carrying into effect his oft-repeated intention to exterminate the Jewish people in Europe. Since the time when this government knew that the Jews were being murdered, our State Department has failed to take any positive steps reasonably calculated to save any of these people. Although State has used the device of setting up intergovernmental organizations to survey the whole refugee problem, and calling conferences such as the Bermuda Conference to explore the whole refugee problem, making it appear that positive action could be expected, in fact nothing has been accomplished. "As yet we have had no report from the Bermuda Refugee Conference. With the best good will in the world and with all latitude that could and should be accorded to diplomatic negotiations in time of war, I may be permitted to voice the bitter suspicion that the absence of a report indicates only one thing--the lack of action. "Probably in all 5703 years, Jews have hardly had a time as tragic and hopeless as the one which they are undergoing now. One of the most tragic factors about the situation is that while singled out for suffering and martyrdom by their enemies, they seem to have been forgotten by the nations which claim to fight for the cause of humanity. WE should remember the Jewish slaughterhouse of Europe and ask what is being done--and I emphasize the word 'done'--to get some of these suffering human beings out of the slaughter while yet alive. "*** Perhaps it would be necessary to introduce a formal resolution or to ask the Secretary of State t report to an appropriate congressional committee on the steps being taken in this connection. Normally it would have been the job of the Government to show itself alert to this tragedy; but when a government neglects a duty it is the job of the legislature in a democracy to remind it of that duty. *** It is not important who voices a call for action, and it is not important what procedure is being used in order to get action. It is important that action be undertaken." Similar fears were voiced be Representatives Cellar, Dickstein, and Klein. Senator Wagner and Representative Sadowski also issued calls for action. The widespread fears concerning the failure of the Bermuda Conference were fully confirmed when Breckinridge Long finally revealed some of the things that had happened at that Conference in his statement before the Committee of Foreign Affairs of the House on November 26, 1942. "He discloses some of the things that happened at the so called Bermuda Conference. He thought he was telling us something heretofore unknown and secret. What happened at the Bermuda Conference could not be kept executive. All the recommendations and findings of the Bermuda Conference were made known to the Intergovernmental Committee of Refugees in 938 and which has been functioning all this time in London. How much has that Committee accomplished in the years of its being. It will be remembered that the Intergovernmental Committee functions through an executive committee composed of six countries, the United States, the United Kingdom, the Netherlands, France, Brazil, and Argentina. True, no report of the Bermuda Conference was made public. But a strangely ironical fact will be noted in the presence of Argentina on this most trusted of committees, Argentina that provoked the official reprimand of President Roosevelt by its banning of the Jewish Press, and within whose borders Nazi propagandists and falangists now enjoy a Roman holiday. I contend that by the very nature of its composition the Intergovernmental Committee on Refugees cannot function successfully as the instrumentality to rescue the Jewish people of Europe. The benefits to be derived from the Bermuda Conference like those of the previous Evian Conference can fit into a tiny capsule." "We have talked; we have sympathized; we have expressed our horror; the time to act is long past due." The Senate Resolution had been introduced be Senator Guy M. Gillettte in behalf of himself and eleven colleagues, Senators Taft, Thomas, Radcliffe, Murray, Johnson, Guffey, Ferguson, Clark, Van Nuys, Downey and Ellender. The House Resolutions (H.R. 's 350 and 352), identical with the Senate Resolution, were introduced by Representatives Baldwin and Rogers. "Since the entry of the United States into the war there have been no new restrictions placed by the Government of the United States upon the number of aliens of any nationality permitted to proceed to this country under existing laws, except for the more intensive examination of aliens required for security reasons." The exception "for security reason" mentioned in this note is the joker. Under the pretext of security reasons so many difficulties have been placed in the way of refugees obtaining visas that it is no wonder that the admission of refugees to this country does not come anywhere near the quote, despite Long's statement designed to create the impression to the contrary. The following administrative restrictions which have been applied to the issuance of visas since the beginning of the war are typical. (a) Many applications for visas have been denied on the grounds that the applications have close relatives in Axis controlled Europe. The theory of this is that the enemy would be able to put pressure on the applicant as a result of the fact that the enemy has the power of life or death over his immediate family. (b) Another restriction greatly increases the red tape and delay involved in getting the visa and requires among other things two affidavits of support and sponsorship to be furnished with each application for a visa. To each affidavit of support and sponsorship there must be attached two letters of reference from two reputable American citizens. If anyone were to attempt to work out a set of restrictions specifically designed to prevent Jewish refugees from entering this country it is difficult to conceive of how more effective restrictions could have been imposed than have already been imposed on grounds of "security". It is obvious of course that these restrictions are not essential for security reasons. Thus refugees upon arriving in this country could be placed in internment camps similar to those used for the Japanese on the West Coast and released only after a satisfactory investigation. Furthermore, even if we took these refugees and treated then as prisoners of war it would be better than letting them die. "If we consider the fact that the average admission would then be at the rate of less than 50,000 per year, it is clear that the organs of our Government have not done their duty. The existing quotas call for the admission of more than 150,000 every year, so that if the quotas themselves had been filled there would have been a total of one-half million and not 500,000 during the period mentioned. "But that is not the whole story. There was no effect of any kind made to save from death many of the refugees who could have been saved during the rime that transportation lines were available and there was no obstacle to their admission to the United States. But the obstructive policy of our organs of Government, particularly the State Department, which saw fit to hedge itself about with rules and regulations, instead of lifting rules and regulations, brought about a condition so that not even the existing immigration quotas are filled." "Mr. Speaker, nations have declared war on Germany, and their high-ranking officials have issued pious protestations against the Nazi massacre of Jewish victims, but not one of these countries thus far has said they would be willing to accept these refugees either permanently or as visitors, or any of the minority peoples trying to escape the Hitler prison and slaughterhouse. "Goebbels says: 'The United Nations won't take any Jews. We don't want them. Let's kill them.' And so he and Hitler are marking Europe Judentun. "Without any change in our immigration statutes we could receive a reasonable number of those who are fortunate enough to escape the Nazi hellhole, receive them as visitors, the immigration quotas notwithstanding. They could be placed in camps or cantonments and held there in such havens until after the war. Private charitable agencies would be willing to pay the entire cost thereof. They would be no expense to the Government whatsoever. These agencies would even pay for transportation by ships to and from this country. "We house and maintain Nazi prisoners, many of them undoubtedly responsible for Nazi atrocities. We should do no less for the victims of the rage of the Huns." "According to Earl G. Harrison, Commissioner of the Immigration and Naturalization Service, not since 1862 have there been fewer aliens entering the country. "Frankly, Breckinridge Long, in my humble opinion, is least sympathetic to refugees in all the State Department. I attribute to him the tragic bottleneck in the granting of visas. "The Interdepartmental Review Committees which review the applications for visas are composed of one official, respectively, from each of the following Departments: War, Navy, F.B.I. State, and Immigration. That committee has been glacier-like in its slowness and coldbloodedness. It takes months and months to grant the visas and then it usually applies to a corpse. "I brought this difficulty to the attention of the President. He asked Long to investigate at once. No, there has been no change in conditions. The gruesome bottleneck still exists." (2) State Department officials have not only failed to cooperate with private organizations in the efforts of these organizations to work out individuals programs of their own, but have taken steps designed to prevent these programs from behind out into effect. (a) On March 13, 1942, a cable was received from the World Jewish Congress representatives in London stating that information reaching London indicated the possibility of rescuing Jews provided funds were put at the disposal of the world Jewish Congress representation in Switzerland. (b) On April 10, 1943, Sumner Welles cabled our Legation in Bern and requested them to get in touch with the World Jewish Congress representative in Switzerland, whom Welles had been informed was in possession of important information regarding the situation of the Jews. (c) On April 20, 1943, a cable was received from Bern relating to the proposed financial arrangements in connection with the evacuation of the Jews from Rumania and France. (d) On May 25, 1943, State Department cabled for a clarification of these proposed financial arrangements. This matter was not called to the attention of the Treasury Department at this time. (e) This whole question of financing the evacuation of the Jews from Rumania and France was first called to the attention of the Treasury Department on June 25, 1943. (f) A conference was held with the State Department relating to this matter on July 15, 1943. (g) One day after this conference, on July 16, 1943, the Treasury Department advised the State Department that it was prepared to issue in this matter. (h) The license was not issued until December 13, 1943. During this five months period between the time that the Treasury stated that it was prepared to issue a license and the time when the license was actually issued delays and objections of all sorts were forthcoming from officials in the State Department, our Legation in Bern, and finally the British. The real significance of these delays and objections was brought home to the State Department in letters which you sent to Secretary Hull on November 24, 1943, and December 17, 1943, which completely devastated the "excuses" which State Department officials had been advancing. On December 10 you made an appointment to discuss the matter with Secretary Hull on December 20. And then an amazing but understandable thing happened. 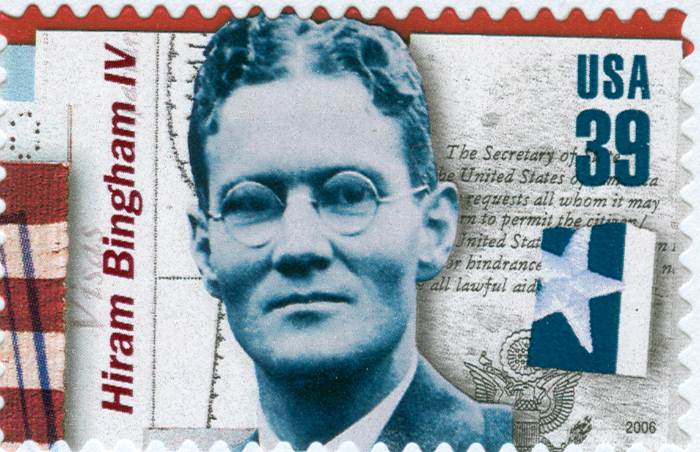 On December 13, the day after you sent your letter and the day on which you requested an appointment with Secretary Hull, the State Department sent a telegram to the British Foreign Office expressing astonishment with the British point of view and stating that the Department was unable to agree with that pint of view (in simple terms, the British point of view referred to by the State Department is that they are apparently prepared to accept the possible--even probable-- death of thousands of Jews in enemy territory because of the difficulties of disposing of any considerable number of Jews should they be rescued.) On the same day, the State Department issued a license notwithstanding the fact that the objections of our Legation in Bern were still outstanding and that British disapproved had already been expressed. State Department officials were in such a hurry to issue this license that they not only did not ask the Treasury to draft the license (which would have been the normal procedure) but they drafted the license themselves and issued it without even consulting the Treasury as to its terms. Informal discussions with certain State Department officials have confirmed what is obvious from the above mentioned facts. Breckinridge Long knew that his position was so indefensible that he was unwilling to even try to defend it at your pending conference with Secretary Hull on December 20. Accordingly, he took such action as he felt was necessary to "cover up" his previous position in this matter. It is, of course, clear that if we had not made the record against the State Department followed by your request to see Secretary Hull, the action which the State Department officials took on December [ill.] could either never have been taken at all or would have been delayed so long that any benefits which it might have had would have been lost. (3) State Department officials not only have failed to facilitate the obtaining of in formation concerning Hitler's plans to exterminate the Jews of Europe but in their official capacity have gone so far as to surreptitiously attempt to stop the obtaining of information concerning the murder of the Jewish population in Europe. The evidence supporting this conclusion is so shocking and so tragic that it is difficult to believe. (2) Sumner Welles as Acting Secretary of State requests confirmation of Hitler's plan to exterminate the Jews. Having already received various reports on the plight of the Jews, on October 5, 1942, Sumner Welles as Acting Secretary of State sent a cable (2314) for the personal attention of Minister Harrison in Bern stating that leaders of the Jewish Congress had received reports from their representatives in Geneva and London to the effect that many thousands of Jews in Eastern Europe were being slaughtered pursuant to a policy embarked upon by the German Government for the complete extermination of the Jews in Europe. Welles added that he was trying to obtain further information from the Vatican but that other than this he was unable to secure confirmation of these stories. He stated that Rabbi Wise believed that information was available to his representatives in Switzerland but that they were in all likelihood fearful of dispatching any such reports through open cables or mail. He then stated that Riegner and Lichtheim were being requested by Wise to call upon Minister Harrison; and Welles requested Minster Harrison to advise him by telegram of all the evidence and facts which he might secure as a result of conference with Riegner and Lichtheim. (b) State Department receives confirmation and shocking evidence that the extermination was being rapidly and effectively carried out. Pursuant to Welles' cable of October 5 Minister Harrison forwarded documents from Riegner confirming the fact of extermination of the Jews (in November 1942), and in a cable of January 21, 1942 (482) relayed a message from Riegner and Lichtheim which Harrison stated was for the information of the Under Secretary of State (and was to be transmitted to Rabbi Stephen Wise if the Under Secretary should so determine). This message described a horrible situation concerning the plight of Jews in Europe. It reported mass executions of Jews in Poland; according to one source 6,000 Jews were being killed daily; the Jews were required before execution to strip themselves of all their clothing which was then sent to Germany; the remaining Jews in Poland were confined to ghettos, etc. ; in Germany deportations were continuing; many Jews were in hiding and there had been many cases of suicide; Jews were being deprived of rationed foodstuffs; no Jews would be left in Prague or Berlin by the end of March, etc. ; and in Rumania 130,000 Jews were deported to Transnistria; about 60,000 had already died and the remaining 70,000 were starving; living conditions were indescribable; Jews were deprived of all their money, foodstuffs and possessions; they were housed in deserted cellars, and occasionally twenty to thirty people slept on the floor of one unheated room; disease was prevalent, particularly fever; urgent assistance was needed. (c) Sumner Welles furnishes this information to the Jewish organizations. Sumner Welles furnished the documents received in November to the Jewish organizations in the United States and authorized them to make the facts public. On February 9, 1943 Welles forwarded the horrible message contained in cable 432 of January 21 to Rabbi Stephen Wise. In his letter of February 9 Welles stated that he was pleased to be of assistance in this matter. Immediately upon the receipt of this message, the Jewish organizations arranged for a public mass meeting in Madison Square Garden in a further effort to obtain effective action. "In the future we would suggest that you do not accept reports submitted to you to be transmitted to private persons in the United States unless such action is advisable because of extraordinary circumstances. Such private messages circumvent neutral countries' censorship and it is felt that by sending them we risk the possibility that steps would necessarily be taken by the neutral countries to curtail of forbid our means of communication for confidential official matter. Although this cable on its face is most innocent and innocuous, when read together with the previous cables, I am forced to conclude it is nothing less than an attempted suppression of information requested by this Government concerning the murder of Jews by Hitler. Although this cable was signed for Hull "SW" (Sumner Welles) it is significant that there is not a word in the cable that would even suggest to the person signing it that it was designed to countermand the Department's specific requests for information on Hitler's plans to exterminate the Jews. The cable appeared to be a normal routine message which a busy official would sign without question. I have been informed that the initialed file copy of the cable bears the initials of Atherton and Dunn as well as of Durbrow and Hickerson. (c) Thereafter Sumner Welles again requested our Legation on April 10, 1943 (cable 877) for information, apparently not realizing that in cable 354 (to which he did not refer) Harrison had been instructed to cease forwarding reports of this character. Harrison replied on April 20 (cable 2460) and indicated that he was in a most confused state of mind as a result of the conflicting instructions he had received. Among other things he stated: " May I suggest that messages of this character should not (repeat not) be subjected to the restriction imposed by your 354, February 10, and that I be permitted to transmit messages from more particularly in view of the helpful information which they may frequently contain?" The fact that cable 354 is not the innocent and routine cable that it appears to be on its face is further highlighted by the efforts of State Department officials to prevent this Department from obtaining the cable and learning its true significance. (i) Several men in our Department had requested States Department officials for a copy of the cable of February 10 (354). We had been advised that it was a Department communication; a strictly political communication, which had nothing to do with economic matters; that it had only had a very limited distribution within the Department, the only ones having anything to do with it being the European Division, the Political Advisor and Sumner Welles; and that a copy could not be furnished to the Treasury. (ii) At the conference in Secretary Hull's office on December 20 in the presence of Breckinridge Long you asked Secretary Hull for a copy of cable 354, which you were told would be furnished to you. (iii) By note to you of December 30, Breckinridge Long enclosed a paraphrase of able 354. This paraphrase of cable 354 specifically omitted any reference to cable 482 of January 21--thus destroying the only tangible clue to the true meaning of the message. (iv) You would never have learned the true meaning of cable 354 had it not been for the fact that one of the men in my office whom I had asked to obtain al the facts on this matter for me had previously called one of the men in another Division of the State Department and requested permission to see the cable. In view of the Treasury interest in this matter this State Department representative obtained cable 354 and the cable of January 21 to which it referred and showed these cables to my man. In addition to concealing the true facts from and misrepresenting these facts to the public, State Department officials have even attempted concealment and misrepresentation within the government. The most striking example of this is the above mentioned action taken by State Department officials to prevent this Department from obtaining a copy of cable 354 of February 10 (which stopped the obtaining of information concerning the murder of Jews); and the fact that after you had requested a copy of this cable, State Department officials forwarded the cable to us with its most significant part omitted, thus destroying the whole meaning of the cable. (b) the giving of false and misleading explanations for their failures to act and their attempts to prevent action. (i) The nice sounding but vicious theory that the whole refugee problem must be explored and consideration given to working out programs for the relief of all refugees--thus failing to distinguish between those refugees whose lives are in imminent danger and those whose lives are not in imminent danger. (ii) The argument that various proposals cannot be acted upon promptly by this Government but must be submitted to the Executive Committee of the Intergovernmental Committee on Refugees. This Committee has taken no effective action to actually evacuate refugees from enemy territory and it is at least open to doubt whether it has the necessary authority to deal with the matter. (iii) The argument that the extreme restrictions which the State Department has placed on the granting of visas to refugees is necessary for "security reason." The falsity of this argument has already been dealt with in this memorandum. The false and misleading explanations which the State Department officials gave for delaying for over six months the program of the World Jewish Congress for the evacuation of thousands of Jews from Rumania and France, are dealt with in your letter to Secretary Hull of December 17, 1943. A striking example is the argument of the State Department officials that the proposed financial arrangements might benefit the enemy. It is of course not surprising that the same State Department officials who usually argue that economic considerations are not important should in this particular case attempt to rely on economic warfare considerations to kill the proposed programs. In this particular case, the State Department officials attempted to argue that the relief plan might benefit the enemy by facilitating the acquisition of funds by the enemy. In addition to the fact that this contention had no merit whatsoever by virtue of the conditions under which the local funds were to be acquired, it is significant that this consideration had not been regarded as controlling in the past by the State Department officials, even where no such conditions had been imposed. Thus, in cases involving the purchase, by branches of United States concerns in Switzerland, of substantial amounts of material in enemy territory, State Department officials have argued that in view of the generous credit supplied by the Swiss to the Germans "transactions of this type cannot be regarded as actually increasing the enemy's purchasing power in Switzerland which is already believed to beat a maximum". It is only when these State Department officials really desire to prevent a transaction that they advance economic warfare considerations as a bar. It is unnecessary to go beyond Long's testimony to find many examples of misstatements. His general pious remarks concerning what this Government has done for the Jews of Europe; his statement concerning the powers and functions of the Intergovernmental Committee on Refugees; his reference to the "screening process" set up to insure wartime security, etc., have already been publicly criticized as misrepresentations. A statement which is typical of the way Long twists facts is his remarks concerning the plan of a Jewish agency to send money to Switzerland to be used through the International Red Cross to buy food to take care of Jews in parts of Czechoslovakia and Poland. Long indicates that the Jewish agency requested that the money be sent through the instrumentality of the Intergovernmental Committee. I am informed that the Jewish agency wished to send the money immediately to the International Red Cross and it was Long who took the position that the matter would have to go through the Intergovernmental Committee, thereby delaying the matter indefinitely. Long speaks of an application having been filled with the Treasury to send some of this money and that the State Department was supporting this application to the Treasury. The facts are that no application has ever been filed with the Treasury that it would support any such application. "*** We have taken into this country since the beginning of the Hitler regime and the persecution of the Jews , until today, approximately 580,000 refugees. The whole thing has been under the quota, during the period of 10 years--all under the quota--except the generous gesture we made with visitors' and transit visas during an awful period." "***In the first place these 580,000 refugees were in the main ordinary quota immigrants coming in from all countries. The majority were not Jews. His statement drips with sympathy for the persecuted Jews, but the tears he sheds are crocodile. I would like to ask him how many Jews were admitted during the last 3 years in comparison with the number seeking entrance to preserve life and dignity. *** One gets the impression from Long's statement that the United States has gone out of its way to help refugees fleeing death at the hands of the Nazis. I deny this. On the contrary, the State Department has turned its back on the time-honored principle of granting havens to refugees. The tempest-tossed get little comfort from men like Breckinridge Long. *** Long says that the door to the oppressed is open but that it 'has been carefully screened.' What he should have said is 'barlocked and bolted.' By the act of 1924, we are permitted to admit approximately 150,000 immigrants each year. During the last fiscal year only 23,725 came as immigrants. Of these only 4,705 were Jews fleeing Nazi persecution. "If men of the temperament and philosophy of Long continue in control of immigration administration, we may as well take down that plaque from the Statue of Liberty and black out the 'lamp beside the golden door.'"